Nothing is better than grandchildren Troels . Enjoy them when they're small,they grow so fast. My grandchildren are just about ready great grandchildren,that'll be even better . Now Troels I'd like to buy one of your prints for my man cave where can I find any? Ah grandkids!!! Mine know that when pop is in the train room that he is 'chilling out'! Love them to bits but why wasn't I born with ear muffs? Troels those who haven't made mistakes haven't tried. At our local train club one elderly member made a loco out of old tin cans. Most members scoffed at his attempt. Only a few of them admired his effort. In reality those who scoffed never made the effort. Never say never until the trash can is full of effort. Everyone have a safe and happy festive season. Congratulations on the grandchildren. Now you have new people to visit the layout (in a few years) and get you to run the trains. Troels, congrats on your grandchildren! What strikes me about your conversation, and with a lot of forum talk elsewhere, comments om my Facebook page and so on, is that many want guidance, gurus, how-to's, explanations, manuals, quick fixes and so on, often while talking badly about their own work, perhaps never even getting out of the planning stage fearing failure. I have had the same experience when teaching painting workshops... I really believe in the learning-by-doing and getting-the-finger-out way of getting things done. Whether you you believe you will or won't succeed, you'll probably be right! I know genetics influence talent, but much depends on actually getting your hands dirty! I wasn't born knowing how to paint, how to make water, how to scratchbuild. I have experimented and failed like you won't believe it. When I knew my layout would have a waterfront all the way around, I made ten or more small masonite panels, and did all sorts of experiments with different materials. My first trees looked miserable, my first structures likewise. You are, of course, correct trying (and failing) and trying again is the only way to learn. I think that you are also missing the point that you are an inspiration and there is nothing like watching a master at work - it is truly enjoyable! Even so, trying with some guidance is a lot less frustrating then trying to reinvent the wheel everytime. Cheers, and Merry Christmas to you as well! Hello guys :) See the talk goes on in my absence...I've been pleasantly distracted for the second time in two months, by the arrival of grandchildren. Congratulations on the new grandkids! I know genetics influence talent, but much depends on actually getting your hands dirty! 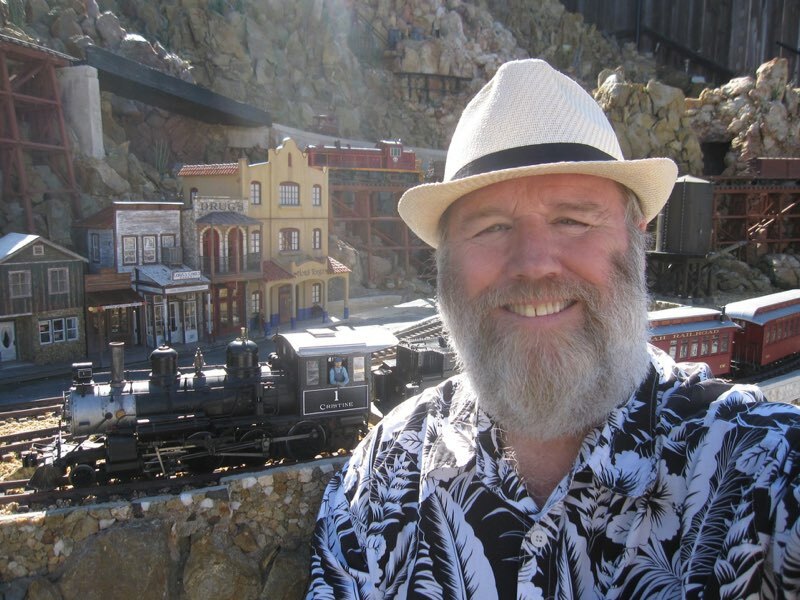 I happen to be writing on article for Model Railroad Hobbyist about that very subject. Being born with talent certainly helps, particularly with some of the more artistic aspects of modeling, but scratchbuilding mostly just requires skill, and any skill can be learned. Congrats Troels, grandchildren are awesome! Our 6th just arrived a few weeks ago. Now have a range of from approx. 1 month old to 17 yrs old. Regarding the DVD, I wasn't looking at it from a 'How To' tutorial so much as a single place to find and read about your methods, to try different ones. Instead of having to hunt through over 700 pages of thread. Yes, one needs to tyr different methods, and see what works for them. However, we all think and feel differently. I haven't much in a artistic sense, but perhaps my mechanical abilities are stronger than yours. You, on the other hand, are a natural artist, and I found methods and tips in your threads that I know I would NEVER have thought of. Merry Christmas and Happy New Year to you and your family, as well as all the Troels Kirk fans out there. it was impressed upon me a looong time ago that the variety of skills and tasks required to produce a model train layout were the reason why model railroading is perhaps the perfect hobby. I don't have anywhere near the space but as the late Verne Niner told me " Jump in Boy it's tons of fun!!" I'm not gone, just passive :) Had a chat with a friend the other day, who has some spare engines and rolling stock that would suit the theme of my (hopefully) next layout... I got all excited thinking about the new plans again, and made a resolution to get the few remaining details fixed, give the layout a good cleanup and polish, then video and photograph all possible and impossible angles, and finally sell the bloody thing (if possible) :) So now you are duly warned that something just might happen suddenly!! Well, hope to see you go modular and welcome you on the show in the NL..